sir arthur conan doyle | Blah! The House of Silk by Anthony Horowitz is the first official addition to the Sherlock Holmes canon since Sir Arthur Conan Doyle last laid down his pen. Officially sanctioned by his estate, the conceit of The House of Silk is that there was an adventure of Holmes that was so sensitive and involved such important power-brokers of England that Dr. John Watson had it sealed for 100 years before it could be published. Thus, it occurs relatively early in the cases that form the canon even though it was published so late. It is also presented as if it were written late in the life of Dr. Watson, and the author, Horowitz, uses the opportunity to have Watson reflect on a number of facets relating to his relationship to Holmes. For example, he laments that he never really gave much thought to Mrs. Hudson, the landlady of Holmes and Watson. This gives some nice insight into how Dr. Watson viewed the world he shared with Holmes. 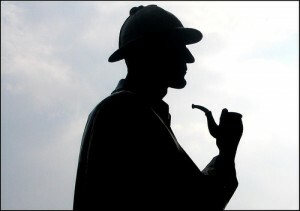 I’m one of those who discovered and devoured the Sherlock Holmes stories as a kid. Not only did these stories introduce me to a different way of looking at the world — deductive reasoning — but they took me to a different time which, looking back, was both more sinister but more naive than our own, at the same time. These stories and the basic idea behind them form so much of what we see in our media today, from the obvious Elementary and Sherlock to shows such as Monk and House, shows I generally tend to enjoy. 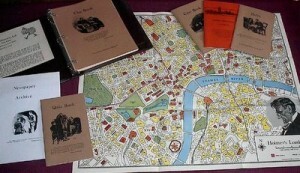 I also was what seemed to be the only person who got into the Sherlock Holmes “role playing game” as a kid, Sherlock Holmes Consulting Detective, a game that had an excellent foundation, but which I simply couldn’t get others to play. I was therefore pretty excited to find this new addition to the Sherlock Holmes mythos. 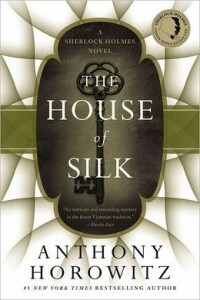 The House of Silk is a very well written tale that is grand in scope. The mystery that Holmes and Watson are drawn into is very intricate and twisted. The various characters are handled well. The way Holmes is handled is particularly gratifying. At one point, in which the situation is rather dire and Watson receives some assistance from a third party, I felt a little disappointed that Holmes would need to be bailed out, but it turns out the Holmes had his own solution. 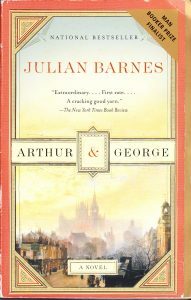 Overall, it was a very gratifying read and a great addition to the Holmes adventures. There were two minor quibbles I had. First, the conceit of the novel, that this was a particularly sensitive case that couldn’t be published at the time of the original cases, felt like it closed more doors than it opened. That is, it didn’t seem to leave much room for any further adventures. Of course, there is a lot of “unaccounted time” in the life of Holmes that could be filled in, but exactly how any other story would be added is a little uncertain. Possibly there is no plan to do so, but given the success of this novel and other media versions of Sherlock, I would be surprised if the estate does not take advantage and push on this. 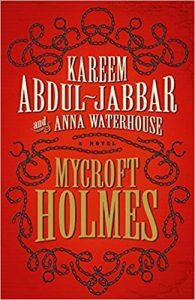 The other quibble is that Holmes, while the central character and the most critical character for advancing the plot, is also, in some odd ways, not that present. He is of course there, all the time, giving his insight, but he feels a bit detached, a bit distant. Maybe it is part of the idea that Watson is telling this story many years after it happened, and of course his personality dominates. Whatever the reason, Holmes almost feels a bit more like a plot device than a real character. Maybe that’s the way all of Doyle’s stories were too. However, these are minor quibbles and the story itself is a very fitting successor of the Holmes mythos. A fast and satisfying read, I highly recommend it to anyone who has ever enjoyed the original stories. This novel certainly makes me want to finally break out that annotated set of stories I’ve had on the bookshelf for more than a few years and rediscover this great character.